The demand for diagnostic and therapeutic of exosome is projected to increment at a substantial CAGR during the forecast period of 2016 to 2024, gaining traction from a number of factors such as increasing prevalence of cancer, technological advancements in exosome isolation and pertaining analytical procedures, multiple awareness initiatives implemented by the government and healthcare organizations in various developed and emerging economies, and innovative and advanced applications of exosomes. On the other hand, technical difficulties regarding the usage of exosome, strict regulatory for the approval and commercialization, lack of skilled professionals that is required by isolation of exosomes, and low awareness level among the potential consumers are a few factors challenging the global exosome diagnostic and therapeutic market from attaining its true potential in the near future. Product-wise, the global exosome diagnostic and therapeutic market can be segmented into instrument, software, and reagent, whereas the end use categories can be hospital, cancer institute, diagnostic centers, and others. 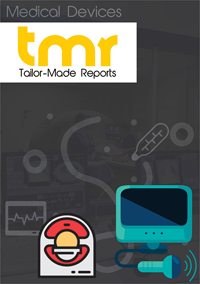 This report provides in-depth assessment of all factors that will drive or restrain the demand for each of these segments, and gauges the potential of every important geographical region. This report on the global exosome diagnostic and therapeutic market has been developed by professional market research analyst, and aspires to serve as a reliable business document for the stockholders of the value chain. An impressive number of companies have been profiled in the report too, in order to represent the competitive landscape. Globally, the adoption of exosome diagnostics and therapeutics is anticipated to witness a significant boost with the growing focus on life science research and increasing diagnostic procedures for cancer. Exosomes are responsible for supporting cell-to-cell communication in the cancer prognosis. They suppress the immune function by leading to apoptosis of activated cytotoxic T cells, which assist tumor development in the human body. The type of products that are commonly used for exosome diagnostics and therapeutics are instruments, software, and reagents. There is a massive demand for these products in hospitals, cancer institutes, and diagnostic centers. This report serves as a reliable business tool to evaluate trends and opportunities in the global exosome diagnostic and therapeutic market. It offers insights into the statistics of the market at both global and regional levels. It provides an in-depth understanding of the vendor landscape of the market. Competitive profiling of key players operating in the market along with an analysis of their business strategies, latest developments, and revenue and cost structures forms an important part of the report. The report identifies the primary positive and negative factors in each segment and forecasts future trends and assay development in every segment of the global exosome diagnostic and therapeutic market. The growing occurrence of cancer across the world is by far the leading factor augmenting the global exosome diagnostic and therapeutic market. As per a study by the Centers for Disease Control and Prevention (CDC), the number of cancer-related deaths across the world were 8.2 million in 2012 and is anticipated to reach 19.3 million by 2025. The increasing initiatives taken by governments and non-government organizations in spreading awareness regarding cancer diagnosis and therapeutics are driving the market. Moreover, rapid advancements in technologies pertaining to exosomes analytical and isolation procedures are providing a fillip to the market. On the flip side, the stringent government regulations for the approval of products and procedures involved in exosome diagnostics and therapeutics are hampering the growth of the market. However, emerging countries such as India and China are likely to present tremendous growth opportunities for the market. The key regions analyzed in the report are Asia Pacific, Europe, North America, and Rest of the World. North America and Europe will, collectively, hold a large share in the market throughout the review period. The rapidly growing geriatric population and rising incidence of chronic diseases such as cancer and cardiovascular disorders are the primary factors propelling the growth of the regions. Moreover, rapid technological advancements in the isolation of exosomes are working in favor of the growth of the regions. Asia Pacific will emerge at a phenomenal pace to be a prominent market in the forthcoming years. The growth of the region can be attributed to the increasing awareness among the populace regarding advanced and innovative applications of exosome-based diagnostic and therapeutic products. Furthermore, the improving healthcare infrastructure along with the rising expenditure on healthcare is escalating the growth of the region. The global leaders in the exosome diagnostic and therapeutic market are aiming at tapping the immense potential offered by emerging regions to expand their shares. Players are focusing towards introducing innovative products to enhance their visibility in the market. Partnerships and acquisitions are poised to remain key growth strategies for prominent players. Some of the key companies operating in the market are Aethlon Medical Inc., NanoSomix Inc., Malvern Instruments Ltd., Thermo Fisher Scientific Inc., System Biosciences Inc., Exosome Diagnostics Inc., Sistemic Inc., and NX Pharmagen.